"He's a lot happier. His tail is constantly wagging." 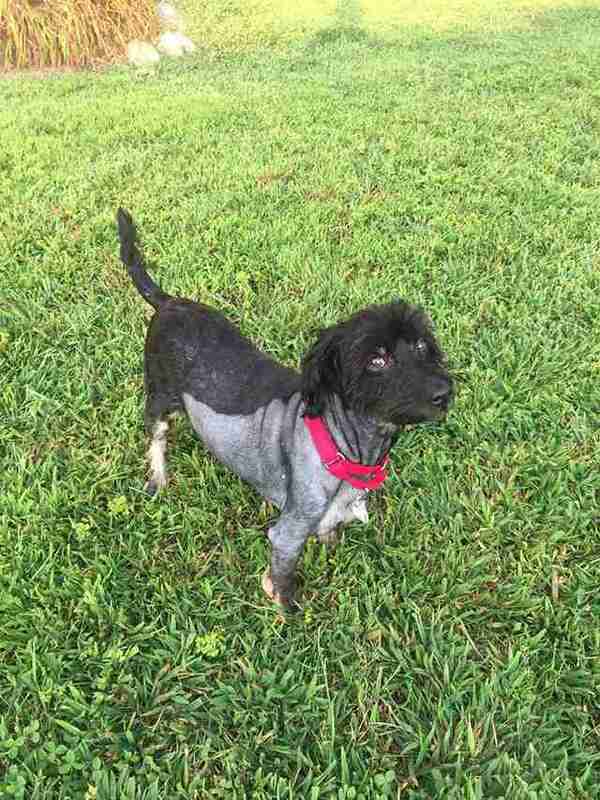 To see this happy little poodle named Oreo now, you might never guess how far he's come in just the past few weeks. His transformation has truly been life-changing. 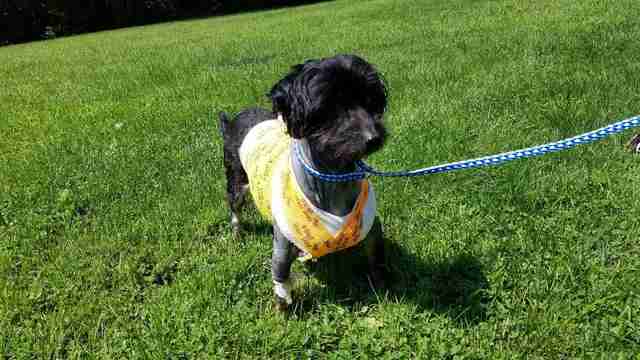 Six-year-old Oreo was rescued from a home earlier this month after a concerned neighbor realized he wasn't getting the help he needed. 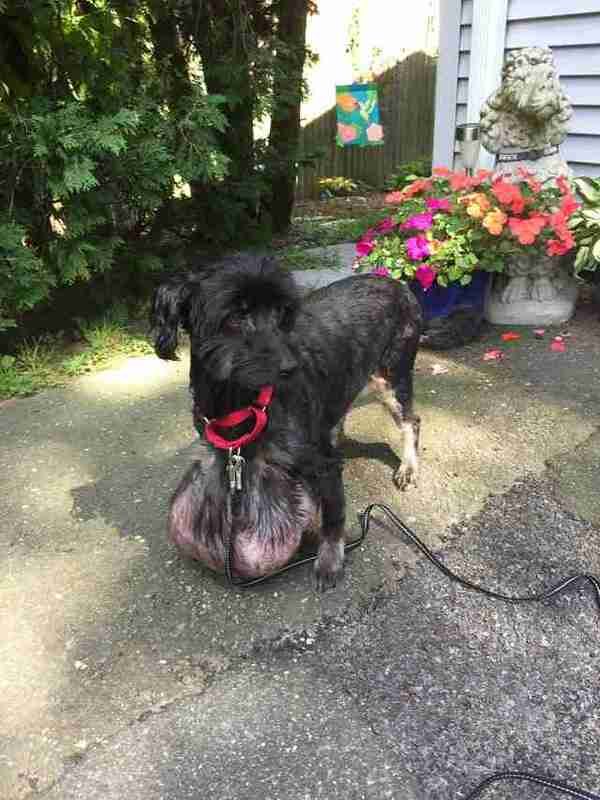 The dog's neglectful owners had allowed a tumor on his chest to grow so large that it actually dragged along the ground when he walked — and threatened to cut his life short if left untreated. 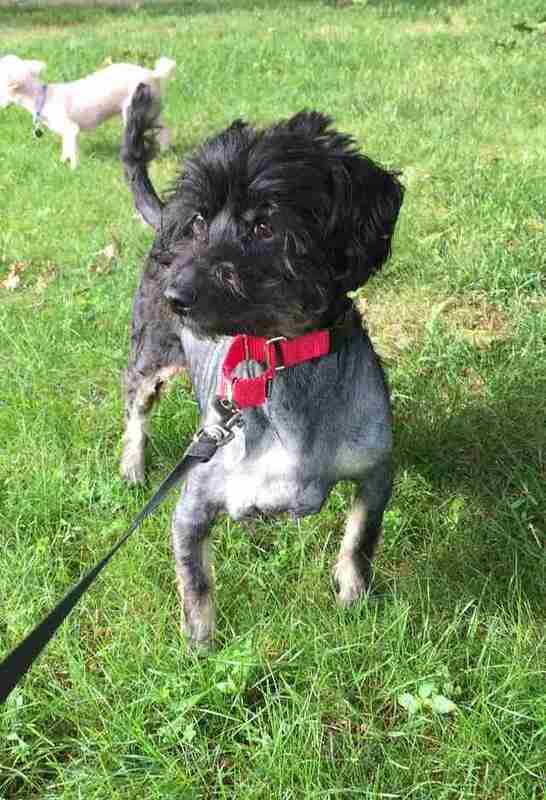 It's around this time that a volunteer from Poodle Rescue Connecticut, Inc. got involved. 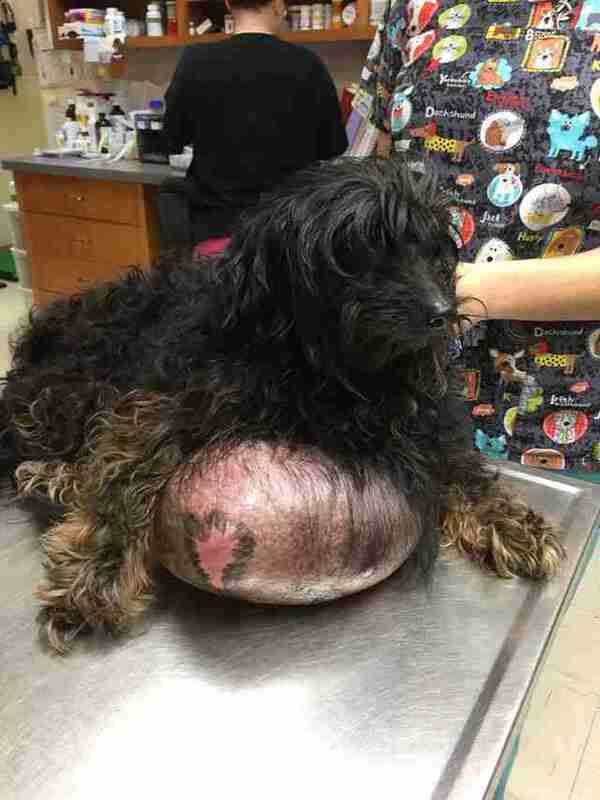 "She went over there and said to Oreo's owners, ‘The word is out. He’s got to have some help, so please sign him over.’ And they did," Daryl Masone, the group's founder, told The Dodo. Now in good hands, no time was wasted to get Oreo back to where he should have been all along. "I took him and brought him in for an evaluation. Of course, I knew he needed to have the surgery, but I wasn’t sure if it could be done or not," Masone said. "But it could be done." In the days leading up to the surgery to remove the tumor, Masone got to see firsthand how Oreo had been forced to cope with that cumbersome growth. The dog's mobility was severely impacted; his legs had become slightly bowed as a way of accommodating. 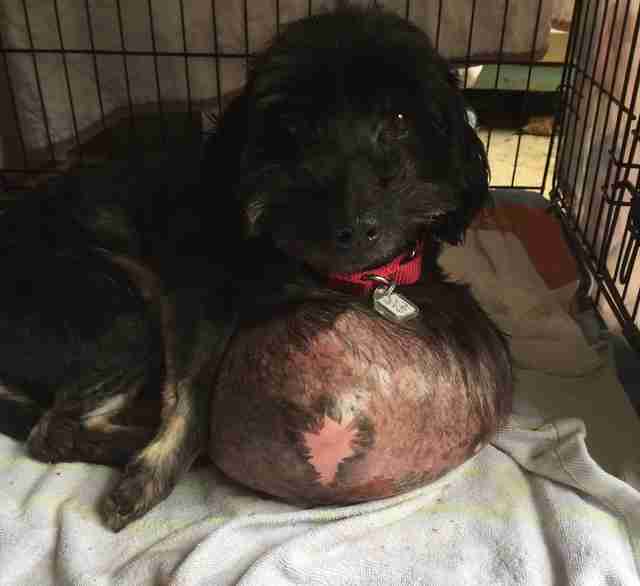 When he slept, Oreo had no way of getting comfortable, so he would rest his head on the tumor like a pillow. Last week, surgeons were able to remove Oreo's tumor in an operation that lasted over two hours, releasing the dog from his unimaginable burden. "The tumor that they took out was 6.4 lbs, which was approximately 33 percent of his body weight," Masone said. "He weighed 26 when he went in, and now he weighs 19." More than just changing his physique, having the tumor removed seems to have changed Oreo's outlook. "He’s a lot happier," Masone said. "His tail is constantly wagging. He’s got his life ahead of him. Before, it would have gotten to a point where he wouldn’t have been able to be helped." There's a change that Oreo will need a second surgery to remove some excess skin, Masone said, but so far he is recovering well. If all goes according to plan, he'll be made available for adoption into a loving home to enjoy his newfound freedom. 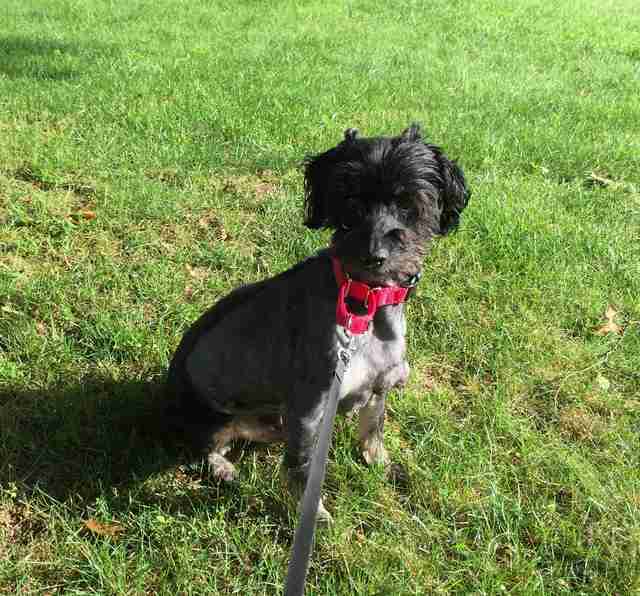 To help cover the costs of Oreo's surgery and ongoing recovery, consider making a donation to Poodle Rescue Connecticut, Inc. Folks interested in adopting him when the time is right can follow his progress on the rescue group's Facebook page.